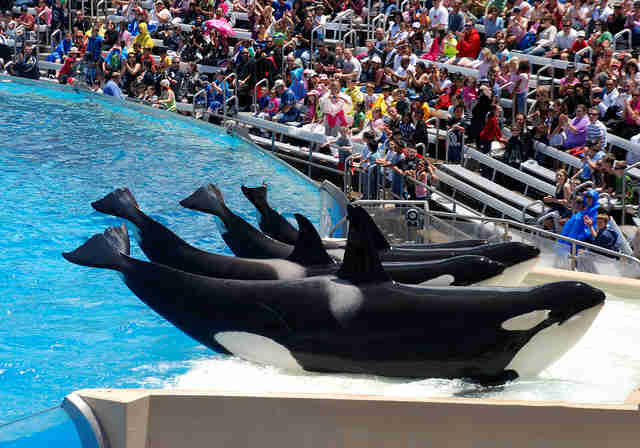 On an earnings call with investors Thursday, new SeaWorld CEO Joel Manby characterized the company's foundering public image as a battle. "When we get the facts out to our guests, partners and other constituencies, we win," he said. "We know the facts are on our side." What a shame that the facts that SeaWorld's using are actually lies. Here are some of the many false statements SeaWorld is promoting to cover up its mistreatment of animals. Orcas live as long in captivity as they do in the wild. SeaWorld claims the average life span for wild orcas is 30 years for females and 19 for males, with a maximum life span of 50 and 30 years, respectively. The National Oceanic and Atmospheric Administration says their average life span is 50 years for females and 30 for males, with a maximum life span of 100 and 60 years, respectively. Last year, a 103-year-old female orca was spotted off the coast of Washington. Only one of SeaWorld's many female orcas has lived past 40. Only two male orcas have lived past 35. And, of course, common sense would dictate that orcas should live not just as long but longer in captivity, where they're protected from ocean threats and have access to medical care. We don't separate calves from their mothers. The nonprofit Orca Network says at least eight calves have been separated from their mothers while they were still dependent. Former SeaWorld trainer John Hargrove said he knows of at least 19. In the wild, many orcas will spend their decades-long lives by their mothers' sides. Last year, SeaWorld tweeted a picture of a mother orca and her calf to illustrate their respect for the "mother-calf bond." They neglected to mention that the baby in the picture had been shipped off to Spain. We don't starve our orcas. 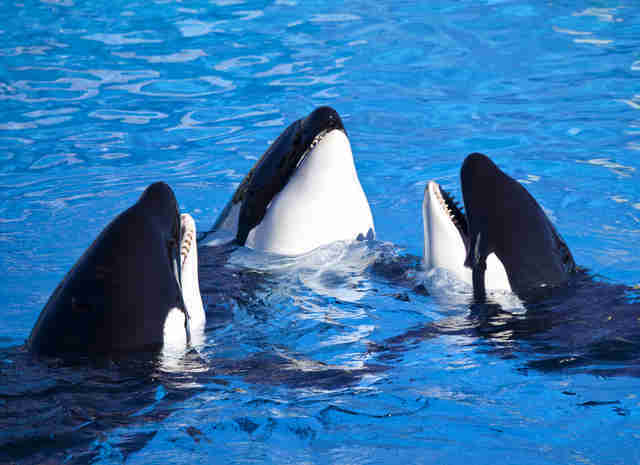 SeaWorld has denied ever using food deprivation to make its orcas perform. "I have both seen and have been a part of depriving whales of food too many times to count," former trainer John Jett wrote in response. Another former trainer claimed orcas were starved before visits from celebrities and other VIP guests so they would perform well. In April, the company released its cloying new sea lion show, for which it consulted a bunch of Broadway big shots instead of marine mammal experts. The show features a garish Disney-esque set in which sea lions are forced to perform inane tricks like "dancing" for the crowd. "The 'dances' and other behaviors seen in this video are not natural to sea lions in the wild, and they certainly are not teaching SeaWorld park-goers respect for marine wildlife or their ecosystems," a Sea Shepherd rep said. "We have an overwhelming amount of signs that prove that these animals are not only not thriving - they're not surviving," Hargrove, the former trainer, said last month. Just in February, a beluga named Nanuq died after a fight with another whale, which one expert said wouldn't have happened in the wild. 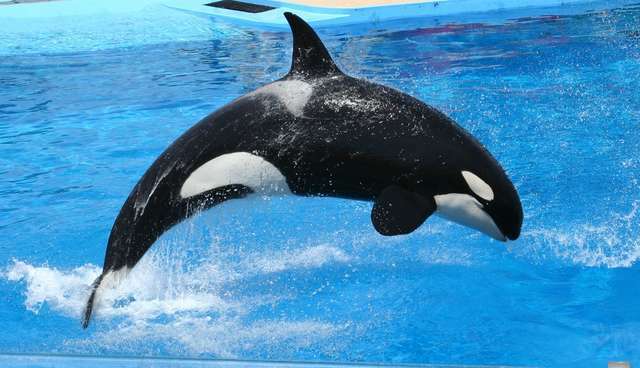 Orcas have been repeatedly injured in fights - including one whale named Nakai who sliced open the bottom of his jaw - and from chewing on grates and sun exposure. They also suffer psychosis and anxiety from being in captivity, and are given drugs like Valium to keep them stable. Manby told investors on Thursday that "Our goal is to engage in a healthy dialogue ... based on facts." When SeaWorld launched its #AskSeaWorld campaign on Twitter, inviting people to send in their questions, they were bombarded with queries about the company's treatment of its orcas. SeaWorld bizarrely dismissed them all as trolls and spambots.